The Signature at MGM Grand is your gateway to the best of Las Vegas. Three all-suite towers adjacent to MGM Grand set new standards in personalized service and amenities in a non-smoking, non-gaming environment. 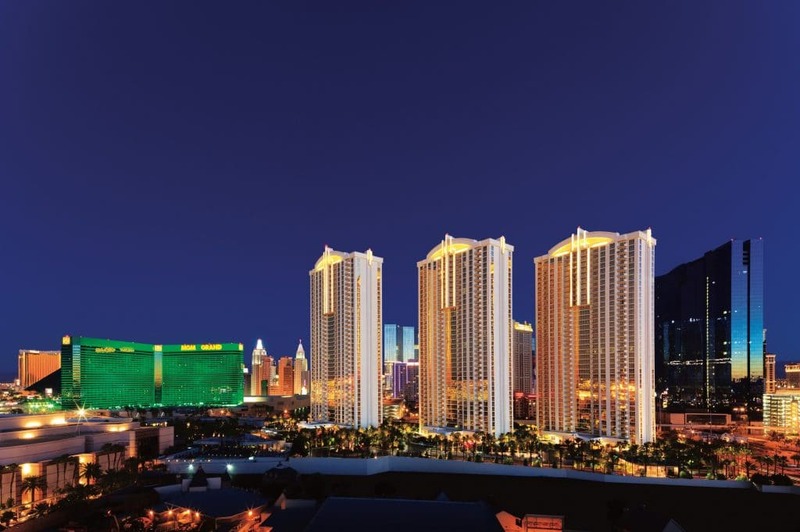 Directly connected to the energy and excitement of MGM Grand as well as the serene luxury of The Signature, you get the best of both worlds. The Signature invites relaxation with private balconies, pillow-top beds, flat-screen TVs, full kitchens and lavish bathrooms. Venture out for a swim in one of three private pools, a workout in our fitness center, or a drink at The Lounge. Our premier concierge service will organize gourmet in-suite dining while you enjoy breathtaking balcony views from your suite. Here are some great The Signature at MGM Grand discounts deals and promotions that you can take advantage of during your next stay. Enjoy these great special promotions! If you like Signature at MGM and its all suites towers, you will definitely enjoy the suites at Bellagio Las Vegas as well with its shops, shows, pools & spas, and monorail access. For more Las Vegas resort military discounts, promotions, and special deals similar to The Signature at MGM Grand military discount, be sure to check out our awesome listing of over 100+ Las Vegas resort, casino, and show military discounts and deals.